Född i Skandinaviens första ridgebackkull – 50 år sedan! Duke was born December 11th, 1963, bred by Bengt Florén, honorary member of Swedish Ridgeback Club. Duke died in cancer only 6,5 years old. He was named Simba in his pedigree, but as he had the noble look of a duke, Olle persuaded the Swedish Kennel Club to change his pedigree name to Duke. 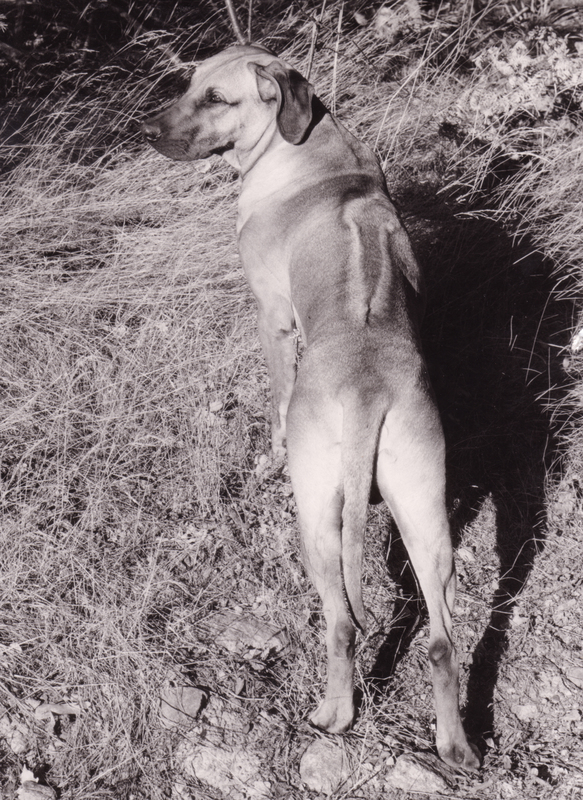 Duke was the first ridgeback being x-rayed in Sweden and found free of hip dysplasia. Elbows were not x-rayed at that time.